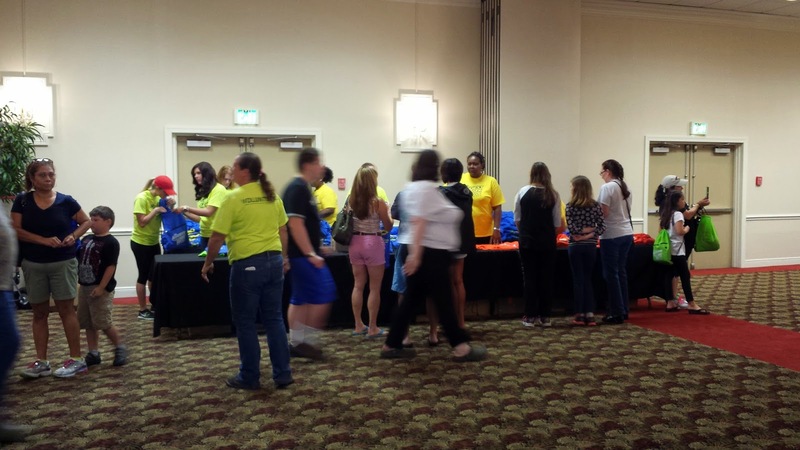 Road Runner Girl: The Biggest Loser RunWalk Mobile Packet Pick-Up! 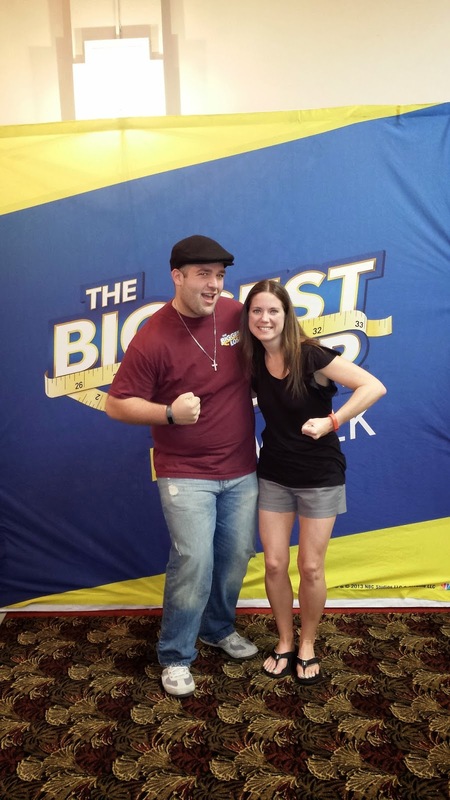 It's no secret that I LOVE the Biggest Loser! It's one of my favorite television shows! 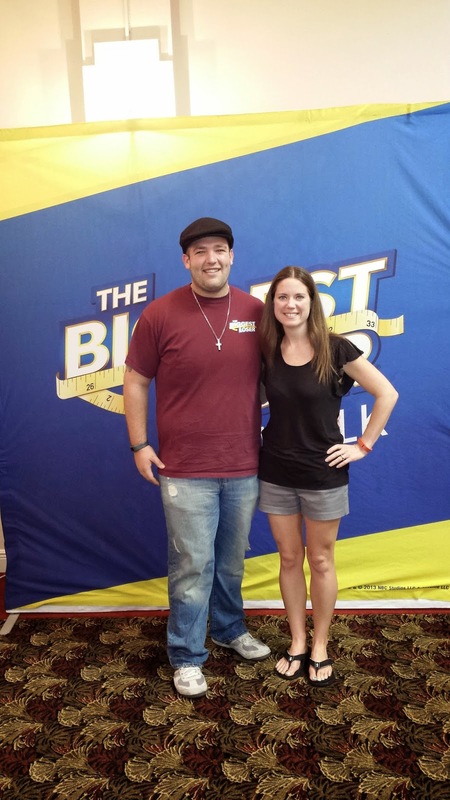 I absolutely LOVE that they have The Biggest Loser RunWalks around the US! 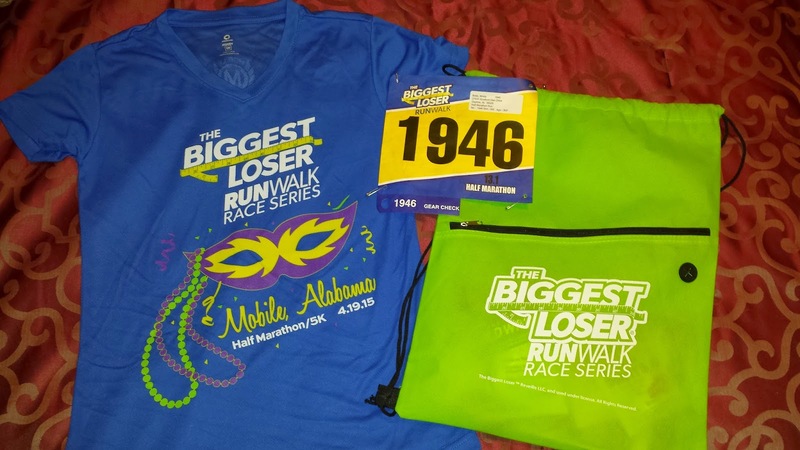 This would be my third time running a Biggest Loser RunWalk Half Marathon. I ran the one in Panama City Beach in 2013 and the one local to me in Mobile last year. I was super excited they were coming back to Mobile again this year! And I love that I wasn't going to have to travel far for this race. It's only about a 15 minute drive from where I live! Sweet! My friend Donna and I headed downtown Saturday morning to pick up our race packet. 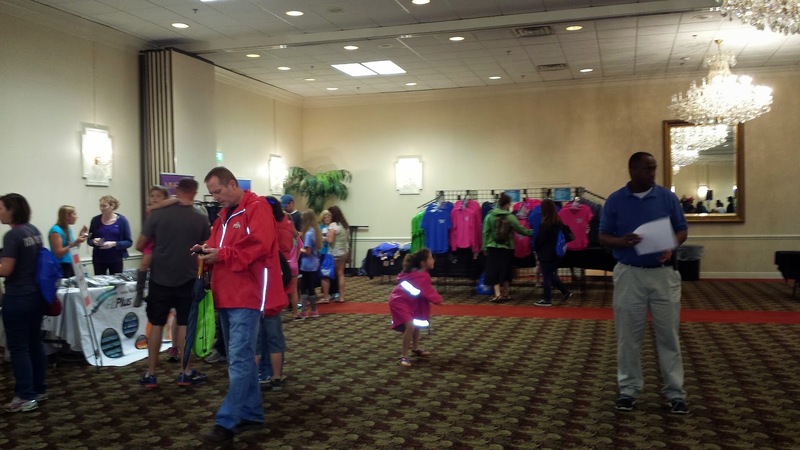 Packet pick-up was being held in the Holiday Inn downtown. We were hoping to luck out with close parking but it didn't happen. We drove around a good 15 minutes trying to find a place to park. It was sprinkling rain and we really didn't want to park too far away in case the bottom fell out. Luckily we found a place to park a few blocks down. 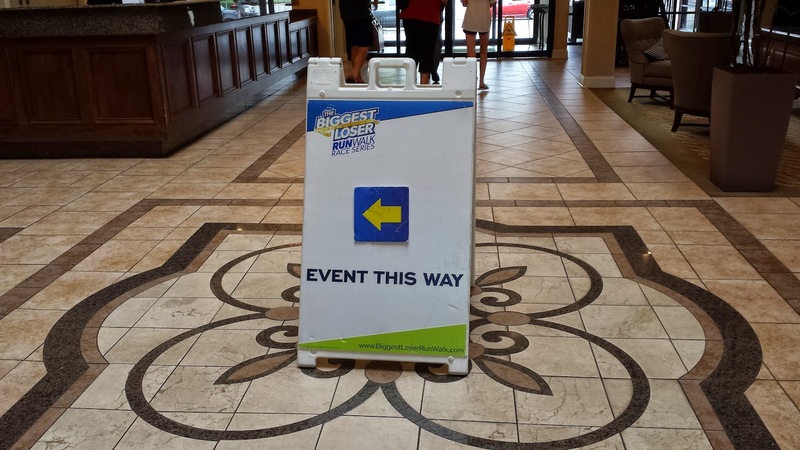 We headed inside the hotel and the directions to the event were clearly marked. Since we already had our waiver signed we were able to walk right in and grab our race bibs. Then we took our bib to another table where we were given our race shirts and a cute drawstring bag that would also serve as our gear check bag. There were volunteers everywhere directing us where to go. It was super organized! Then we took a few minutes to look around. 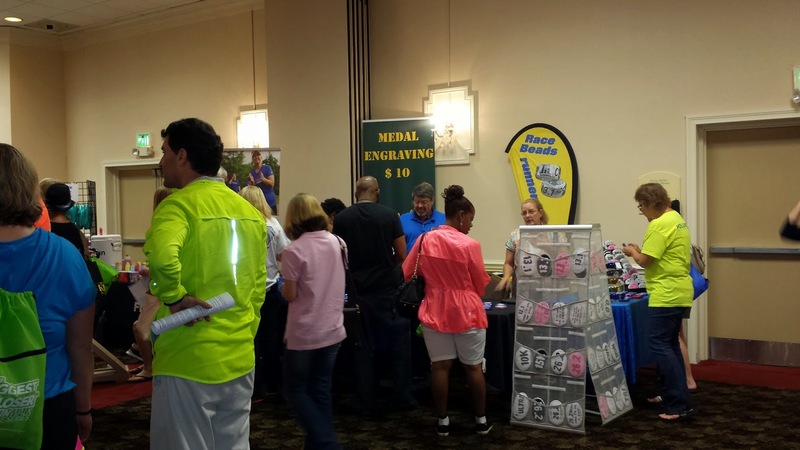 There were a few vendors there as well as some pretty awesome Biggest Loser RunWalk merchandise. 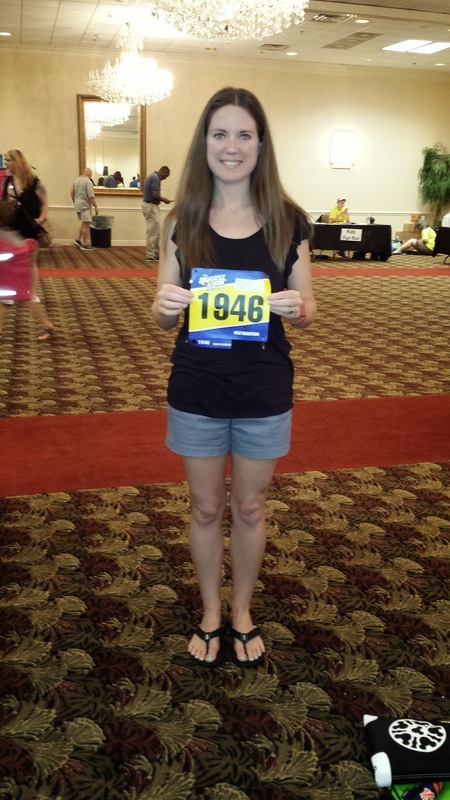 Of course I had to take my traditional picture with my race bib! 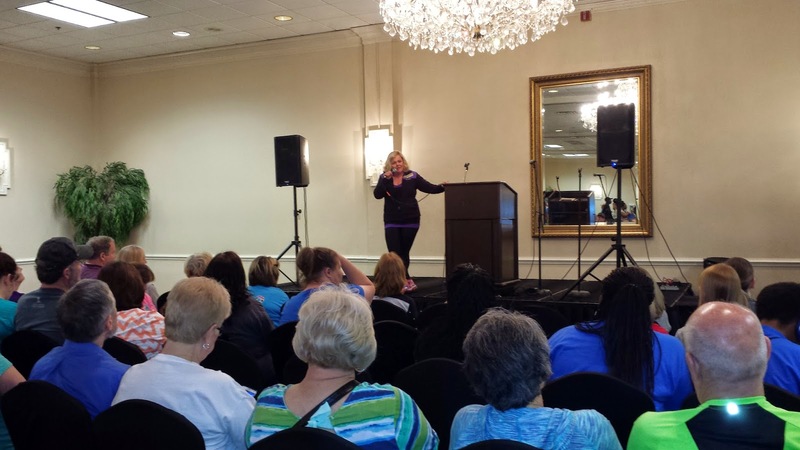 The best parts about packet pick-up at a Biggest Loser RunWalk race is that the former contestants speak. It's so inspirational to hear them tell their stories! 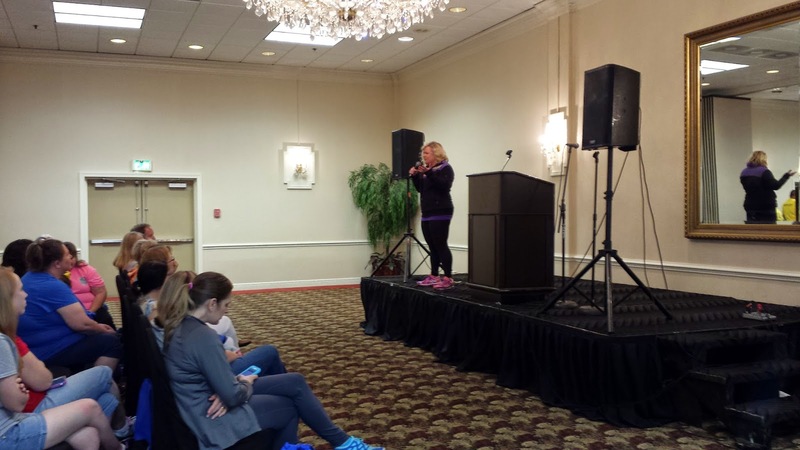 When I was there, Gina from season 14 was telling her story! I hated I didn't get to say hey to her. She is one of the sweetest people you will ever meet! 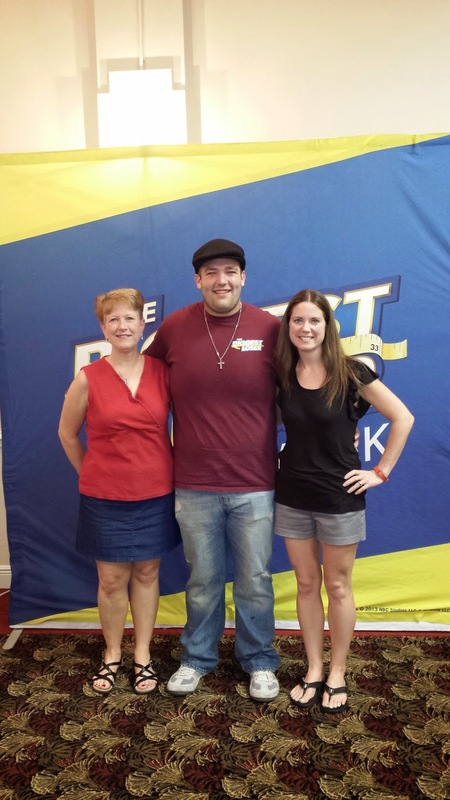 But I DID get to meet JJ O'Malley from Season 16! And he was just as amazing! So much fun! I love the race shirt! It's a tech fabric and they even had a women's cut which was great! And the drawstring bag is awesome as well! After packet pick-up I went back home. It was nice to relax at home before race day! 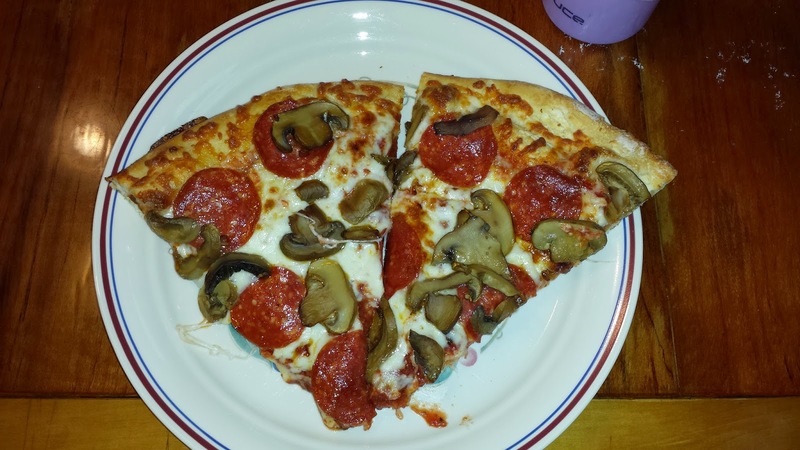 And of course I had my pre-race pizza dinner! Yum! 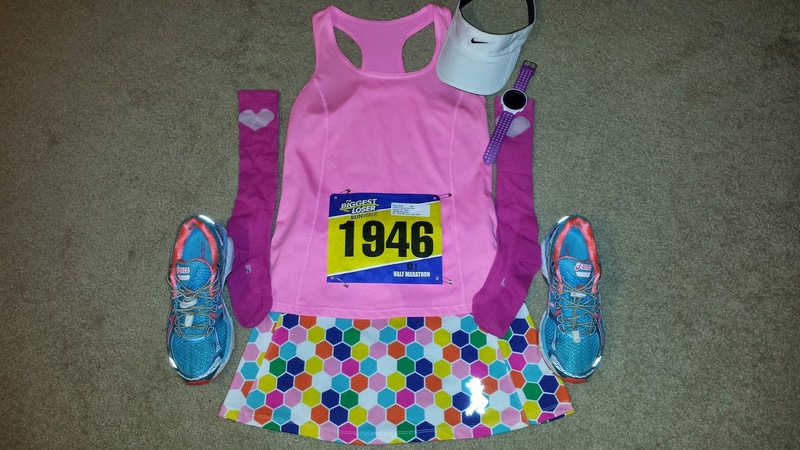 And...Flat Road Runner Girl! I was going to wear a visor because there was rain in the forecast. I was hoping the rain would hold off but I was going to be prepared just in case! Stay tuned for my recap of the race! QOTD: Do you prefer local races or races where you have to travel?